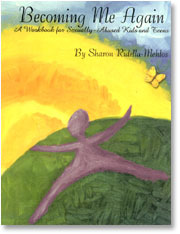 This workbook covers the different types of sexual abuse children and teens experience. The photos function as a metaphor or catalyst for thought. Then, after each a youngster shares his/her experience. After the sharing, there are activities to help him/her cope with the experience. 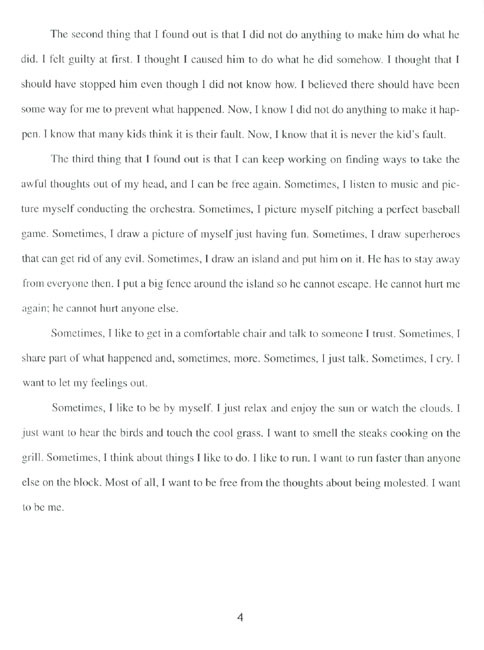 The author has implemented each of these activities with her clients. They have proven to be successful in the various therapeutic meetings. Parents, teachers, therapists, and survivors of sexual abuse should find this work extremely valuable. It is clear, succinct, and realistic. Sharon Ridella-Mehlos received her Ph.D. in Clinical Psychology from the Union Institute and University of Cincinnati, OH. She has worked with child, teen, and adult survivors of sexual abuse and has completed psychological evaluations on perpetrators of sexual abuse. She is one of the developers of the Child Advocacy Center of Monroe County, Michigan. This is an intervention program designed to respond to the individual needs of the child victim and his or her family. Currently, she has a private practice where she provides psychological services.